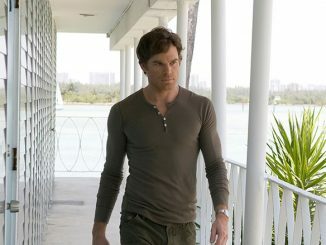 I have always been a fan of Dexter ever since the show debuted. 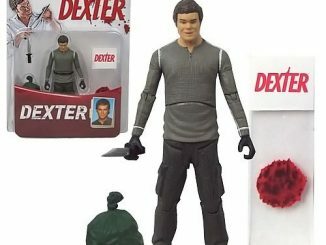 There’s just something so alluring about a blood stain analyst who also happens to be a serial killer on the side as well. 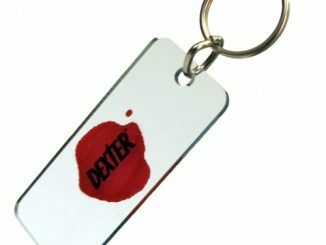 It sounds bad put that way; but really once you start watching the show, you’ll see that Dexter really is a good guy (in a twisted way) deep down. 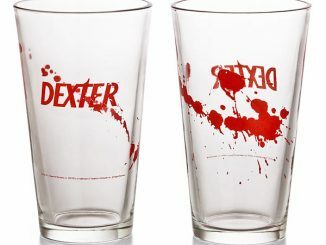 And what better way to demonstrate your fanfare with the Dexter Color Changing Mug? 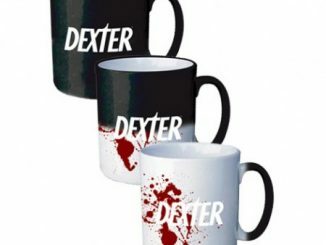 Like the lead in the series, the Dexter Color Changing Mug isn’t what it appears to be. 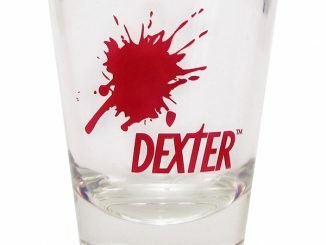 In the mood for a cold drink? 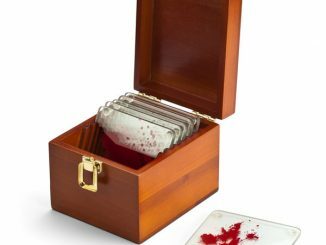 Get ready to watch spots of blood appear on the mug like magic induced by varying temperatures. If you’re settling in for the night with a hot cup of coffee, then you’ll be treated to a grinning photo of the man himself, watching your every move. 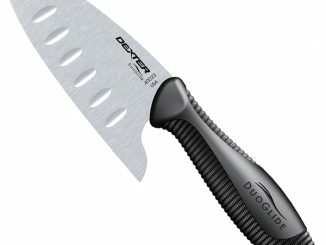 Feeling murderous in the morning? 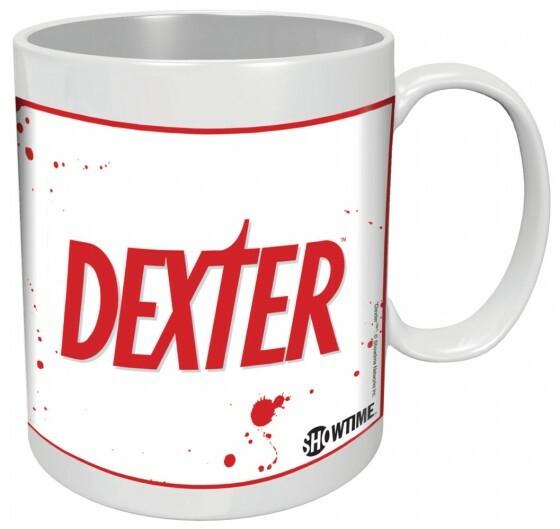 Get out your Dexter blood-splattered mug and let the caffeine from a hot cup of coffee warm you up and restore your civilized side. 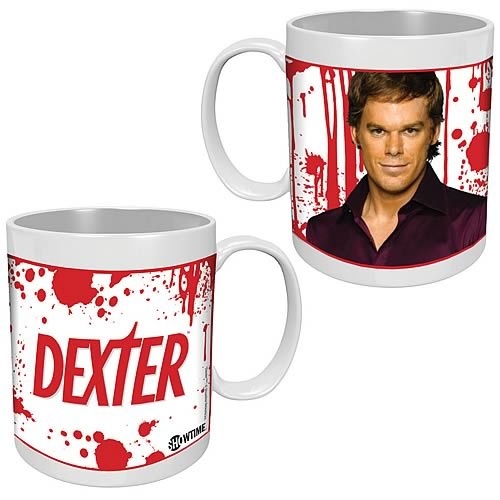 This diabolical 11-ounce mug shows the two sides of Dexter: when cold, it is covered with blood, just like a newly discovered Florida crime scene; when hot, the blood disappears, leaving a grinning Dexter, who’s in on all your secrets. 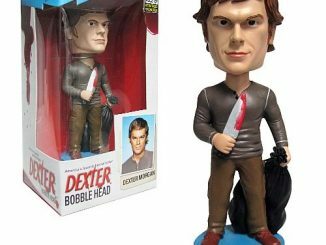 Have your morning coffee with Dexter Morgan! 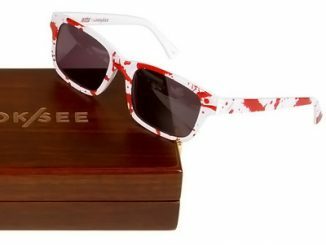 Changes color with hot and cold beverages! 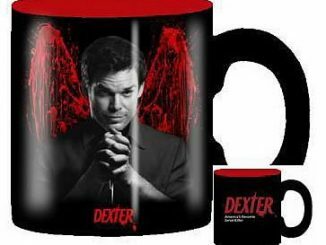 This mug’s to die for! 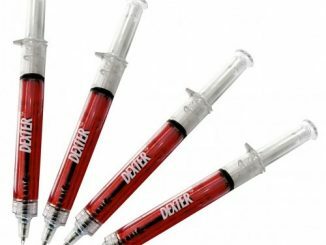 The Dexter Color Changing Mug is available from Entertainment Earth for $14.99.